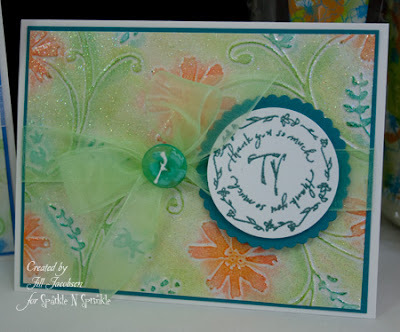 My husband asked if I would make him some cards for the secretaries in his office for Administrative Professional Day and this is what I came up with. 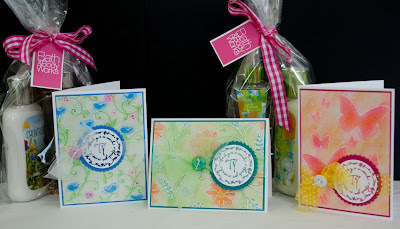 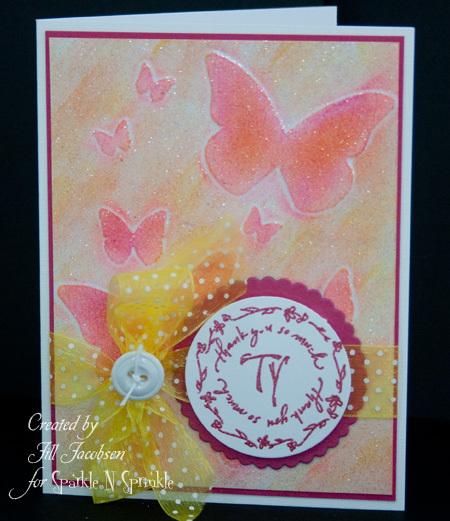 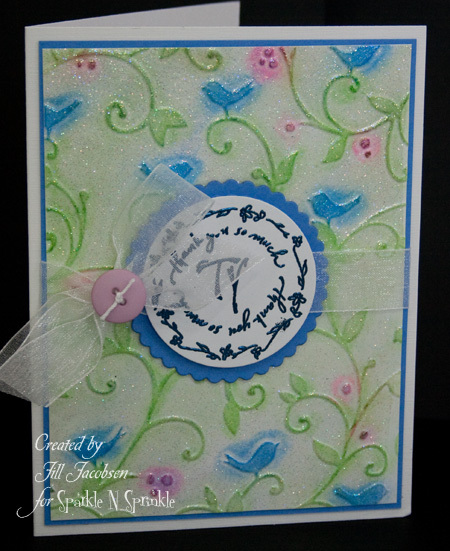 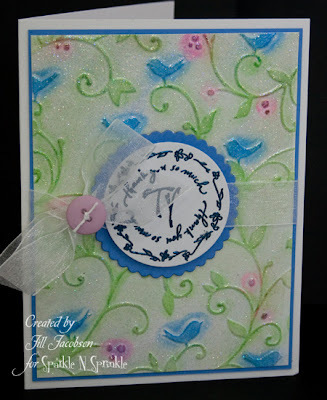 I've been playing around with the Cuttlebug embossing folders and chalks and loving the soft look you end up with, then to finish it off with a little "sparkle" I covered the whole cardstock with Versamark and embossed with Sparkle Embossing Powder. This last one is my favorite...I actually used the color combo from the Bath & Body new scent of White Citrus, you can see it behind the card in the last photo.